Creative Scotland’s chief executive has apologised for the way the body’s recent funding decisions were handled, as she committed to a root-and-branch review of its processes in future. Twenty arts organisations had the entirety of their Creative Scotland subsidy removed in last month’s funding round announcements, prompting outcry and the resignations of two of the body’s board members. Five companies subsequently had their funding restored following an emergency meeting. 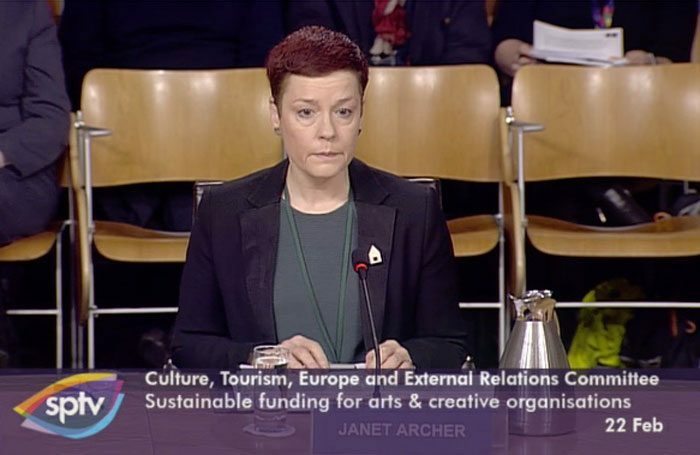 At an evidence session at the Scottish Parliament’s culture committee, Creative Scotland chief executive Janet Archer revealed that a key plank of its three-year strategy for Regular Funded Organisations had not yet been proposed when it opened the pool for applications, meaning organisations were unaware that their applications would be considered ineligible for regular funding. Archer also admitted that the decision to withdraw a group of organisations from the RFO network, taken at a board meeting in January, was not unanimous, as had been previously reported. She went on to confirm that Creative Scotland was “committed to a root-and-branch review of how we fund”. “We will – importantly – do this in full collaboration with the people and organisations we support,” she said. However, under questioning from the committee it emerged that, following the initial RFO announcement, several unsuccessful applicants had raised concerns that reports compiled about their applications included factual inaccuracies by the time they had reached the board. These included The Ayr Gaiety, which was said to have £600,000 more available to it from other sources than was actually the case. The recently departed interim chair of the board, Ben Thomson, who also gave evidence, claimed that when the board met to reconsider its initial RFO decisions, it had not been made aware of potential factual inaccuracies in the reports on which it had based those decisions. 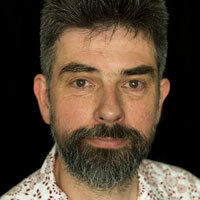 Among Creative Scotland’s reasons for removing several companies from the RFO network was that they would be able to apply to a soon-to-be-created touring fund. However, at the evidence session, Archer revealed that the fund was only proposed as part of the touring theatre and dance review published in April 2017, after the deadline for applying for the RFO pot.